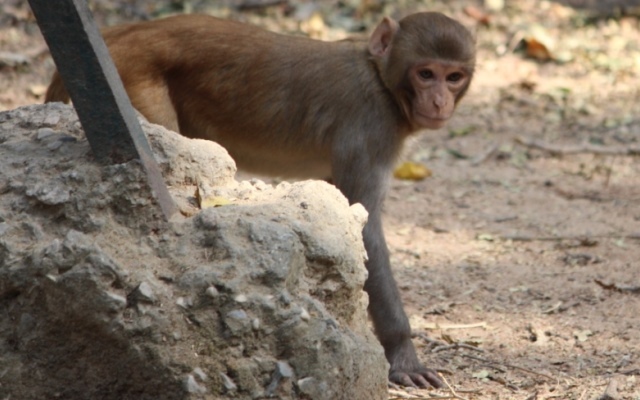 The monkey population in North Delhi (Kamala Nehru) Ridge continues to create trouble not just for those visiting or passing by the Ridge, but also in nearby hostels and colleges of University of Delhi’s North campus. The origin of this problem remains man-made with people stopping their cars on the roads along the Ridge and feeding these monkeys. This has been disturbing the natural habits of the monkey and making them dependent on processed food, something which should is only going to make them weak and lose their survival instincts. Image by Tamanna Rafique, First Year English (Hons.) student of University of Delhi.